The EASIEST apple crisp ever!! Less than 15 minutes in your Instant Pot for this delicious classic dessert! Apple season is just around the corner, and I get all giddy with excitement when fall arrives! I love baking with apples and finding all kinds of breakfast and dessert recipes to make. 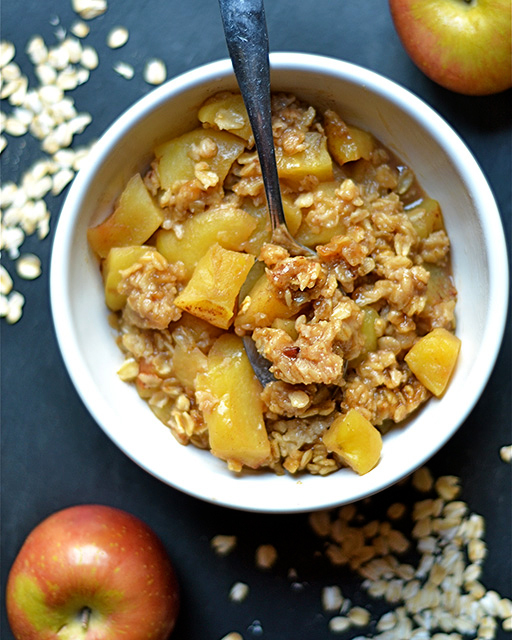 Speaking of breakfast and dessert, I think this apple crisp can pass for either one! Wholesome and simple ingredients, just the right amount of sweetness, but just save the vanilla ice cream for dessert. I want to tell you just how easy this recipe is. I recently started playing around with my new favorite kitchen appliance: the Instant Pot. It is pretty fabulous for so many reasons. One of the many awesome things about the Instant Pot is that any dish can be ready in just a few minutes. I only cooked this one for 8 minutes, and it was PERFECTION!! Even the top part came out nice and crispy. To get this recipe perfect, peel and chop your apples into small pieces. Sprinkle with some cinnamon and nutmeg. You’ll make the crumble/crisp mixture and sprinkle on top. Set your Instant Pot to the manual setting, and pressure cook for 8 minutes. That’s it!!! You’ll get a perfect dessert enough for 3-4 people. Add some vanilla ice cream and serve hot. An apple crisp is my husband’s all time favorite dessert, and he loves this variation! 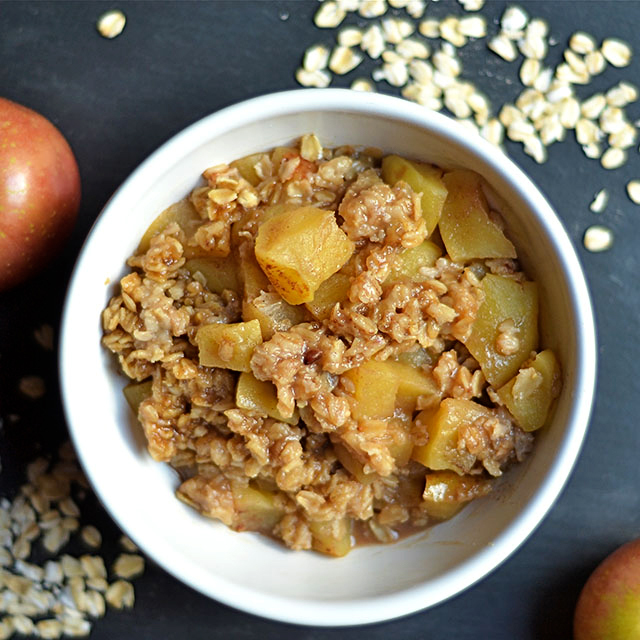 To take this Instant Pot Apple Crisp to a whole new level, you absolutely must top it with my homemade caramel. I tell you all about How to make Homemade Caramel here. Enjoy!